The shell of an egg is such a common product that is readily discarded as useless. We don’t view it as anything beneficial to our household. Unfortunately, this is a common misconception because it is not only beneficial as a nutritionally dense food, but It can be used for several purposes. Hungarian physician Krompeher, with a group of medics and biologists, became interested in the healthy properties of eggshells. More than 10 years of research have shown that eggshells are the ideal source of bio-available calcium (dense and well absorbed). Eggshells contain the perfect amount of the ideal substances for healing cavities – massive amounts of calcium and 27 other minerals. The composition of eggshells resembles our teeth. Eggshells provide the necessary amount of calcium to remineralize teeth. Just boil shells from one organic free range egg for about 5 minutes. You can add them daily into your smoothies or grind them into a fine powder and add it to your food. Bone tissue is composed of calcium. Actually, human bones and teeth are very similar to an eggshell’s composition. One of the benefits of eggshells is the calcium contained in the shell (93 %), the bone marrow is fulfilling its hematopoietic function better. Additionally, eggshells also contain mineral elements: magnesium, phosphorus, silicon, sodium, potassium, iron, sulfur, etc. There are 27 elements found in the eggshells. Also the protein of a shell is composed of such essential amino acids as methionine, cysteine, lysine, isoleucine. Thus, properly prepared eggshells are the most balanced natural means to obtain calcium. Eggshells are especially beneficial for small children because their bodies experience more intensively involved in the formation of bone tissue, which requires an uninterrupted flow of calcium. Shell’s included in baby food can be beneficial to prevent rickets and anemia, which usually develops in parallel with rickets. Shell’s promote activation of blood in the bone tissue. To use eggshells for medicinal purposes, you need to use organic eggs in order to avoid any chemicals or antibiotics. Take eggshells and put them in boiling water for about 5 minutes. The boiling will kill any pathogens. Then, air dry the shells and grind the shells in a coffee grinder. Take a 1/2 teaspoon a day. It is important to note that Vitamin D greatly aids calcium absorption. So make sure to get enough sunlight or eat organ meats such as liver. I made this into an Ormus Powder by using 3 dozen egg shells from eggs I got at the Farmers Market since I don't currently own any chickens. I used to have chickens that I fed Ormus to and their shells were thick meaning full of minerals. So you want to use the best eggs you can find since the shells will be more nutritious. After boiling the shells to make sure any pathogens were killed, I then blended it up in warm aetherically charged water until it was a fine powder. 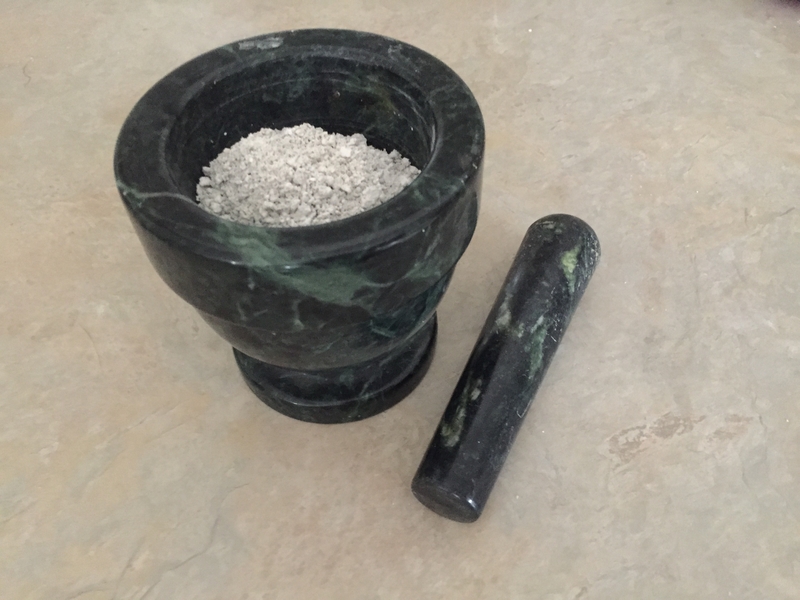 Next after adding organic dolomite lime I preformed the John Hudson method. After washing it 7 times it's now an off white Ormus powder ready to in-joy. This had a huge amount of bubbles and precip when making this indicating that its Full of minerals. I had to change into a larger bottle to wash it since it was so large. I figured it would be a lot but was still surprized by the amount of Ormus Minerals I received. Needless to say this is loaded with calcium. 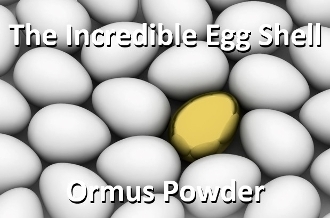 1/2 teaspoon to a teaspoon is all you need a day of this Incredible Ormus Powder.